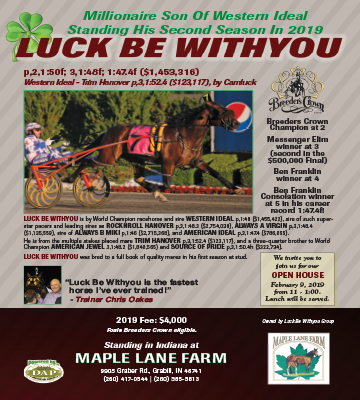 It was a super night for trainer-driver Verlin Yoder, who scored three wins on the Hoosier Champions card, including a strong performance by It’s A Herbie in the $220,000 Indiana Sires Stakes for two-year-old colt and gelding trotters. Starting from post two against the tough Swandre The Giant from post seven, It’s A Herbie got the first call at the quarter before allowing Swandre The Giant to slide into the top spot just after the halfway mark. It’s a Herbie stayed right at the back of Yannick Gingras until the stretch. 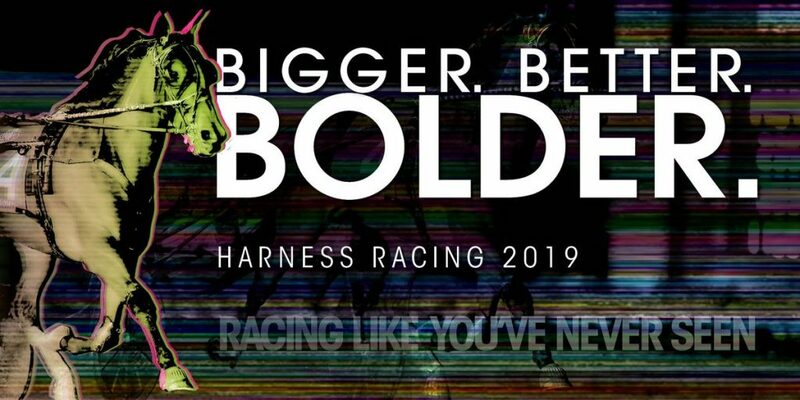 Yoder pulled the Here Comes Herbie colt to the challenge and out-trotted Swandre the Giant to the wire, posting a final panel in :28.4 for the win in 1:56.1 by three-quarters of a length. Longshot Martini Show and David Miller rallied late in the stretch for third. It was the third win of the season in 12 starts for It’s A Herbie, who increased his career bankroll to more than $242,000 for Yoder, who also bred and owns the freshman. 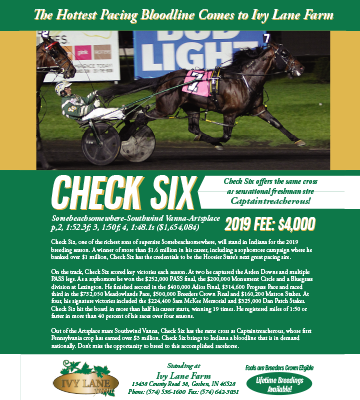 Yoder also connected with Kissesforall in the $220,000 Indiana Sires Stakes for two-year-old trotting fillies. Yoder placed the Swan for All filly on the lead from post five and was never challenged, pulling away to a five and one-half length win in 1:57.4. Measuredperfection and Ricky Macomber Jr. finished second while Kota’s Swan and Sam Widger finished third. 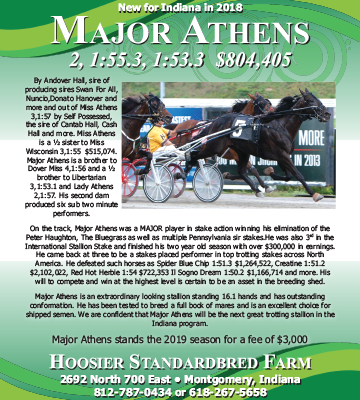 Yoder’s night was kicked off with a win in the $70,000 Indiana Sires Stakes for older mare trotters. Compelling sat patiently behind Churita before moving out around the final turn for the stretch drive home. The four-year-old Swan For All mare trotted home in :27.4 to win by one-half length over Churita and Trace Tetrick. Diamond Dagger and Macomber finished third. Compelling is also owned and trained by Yoder, rounding out his three-win evening at Hoosier Park. 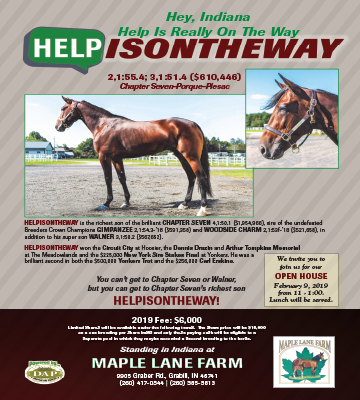 Other Super Night winners included Rockin Nola (two-year-old filly pace), Custom Cantab (three-year-old filly trot), Always Giggling (older mare pace), Bridge to Jesse’s (older horse and gelding trot), It’s Time for Fun (three-year-old filly pace), Egomania (two-year-old colt and gelding pace), Fiftydallarbill (three-year-old colt and gelding trot), Tookadiveoffdipper (older horse and gelding pace), and Always A Prince (three-year-old colt and gelding pace).